YellowAirplane.com: A Memorial to Ernie Pyle on Ie Shima from World War II. Ie Shima from World War II. The monument for Ernie Pyle is located at the cemetery on the island of Ie Shima. Ie Shima is located just a few miles northwest of the island of Okinawa, on the way to Japan. The island is still the location of a huge marine air base with the three original runways still in operation. Ie Shima is home to the Harrier Jump jet built by the British. Keep reading to hear more about Ernie Pyle. Just press the right arrow below to go to the next Ernie Pyle page. There was an interesting story about the Japanese surrender which involved the Betty Bombers. The surrender wasn't just the emperor waving a white flag and calling it quits. 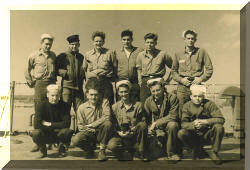 It wasn't just the signing of the surrender papers on the USS Missouri. There was a long story behind the Japanese surrender and a big part of aviation history. 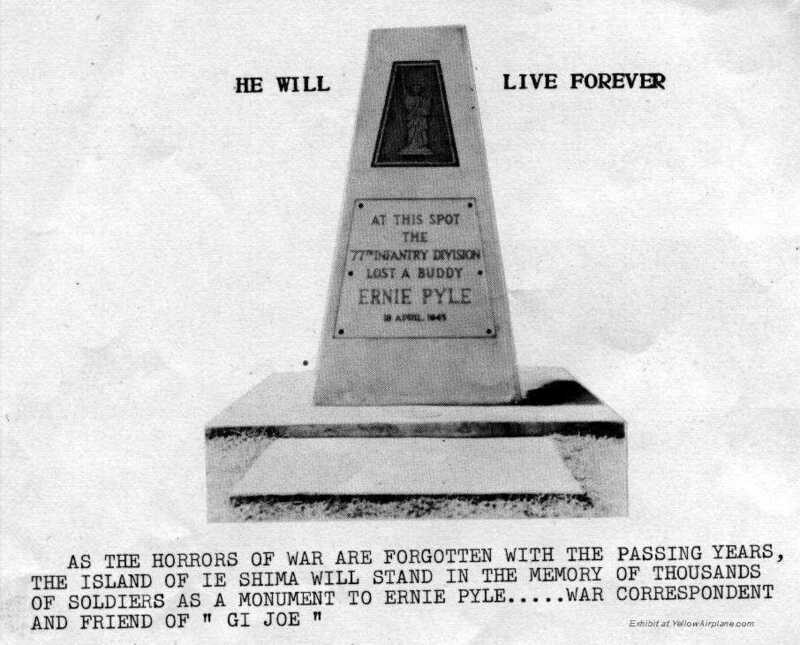 AS THE HORRORS OF WAR ARE FORGOTTEN WITH THE PASSING YEARS, THE ISLAND OF IE SHIMA WILL STAND IN THE MEMORY OF THOUSANDS OF SOLDIERS AS A MONUMENT TO ERNIE PYLE.....WAR CORRESPONDENT AND FRIEND OF " GI JOE "
Is this memorial still at Ie Shima? Please let me know at the bottom of this page.